How To Start Investing In The Stock Markets? How To Deal With Stock Market Volatility Without Panicking? Three Facts That Will You Help You Think Straight About The Stock Markets? How To Achieve Financial Independence In 3 Steps? How To Invest In Mutual Funds Without Losing Sleep Over It? How Investing In Mutual Funds Help In Attaining Financial Goals? Pointers For First Time Home Loan Applicants? What Is Significance Of A Credit Report To A Borrower? Why Compare Personal Loans In India Before Applying? Myths of life insurance clarifyd? Buying insurance plans: Online versus Offline? 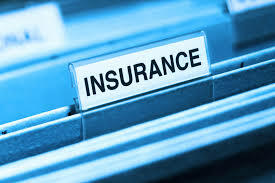 What are the signs to identify a good insurance provider? Common mistakes to avoid while buying health insurance? How term life insurance plans act as your best tax saving tool? Trust the professional to help find the best financial products, keep a track of all your money, and help you get more with your money. Child Insurance Plan - Why? When? The website makes it simple to find the best financial products across categories - insurance, loans, mutual funds, amongst others. We’ll help you save time by giving you a quick access to products & tools. Yes. The website and our partners offers great security-levels for the information you provide. You should also know that at no point is the money transferred to any of our bank accounts. The investment and product purchases are directly held & made in the name of the customer and the money moves directly from your account to the institution that mandated by respective regulators - RBI, SEBI, IRDAI. Do you charge me for providing access to various products? No, our services are free for our users! Somebody asked for Card details including CVV and ATM Pin, should I give it? No, please do not. We not require any credit card/debit card details from any user and do not solicit these details over phone or in person. Investors are requested to refrain from providing these details to anyone! You have subscribed successfully. Thank you. This website is best viewed in Google Chrome, Firefox and Internet Explorer 9 or above. Information is sourced from respective service providers. We don't provide any products on our own but ensures your information is sent to the respective service provider/ financial institution, which you have opted for. We do not charge any fee from our customers. All products are discretionary to various respective service provider/ financial institution. This website has no sales team on its own. This site may be compensated through third party service providers and/or financial institutions. However, the results of our financial service tools, content and reviews are based on objective analysis.